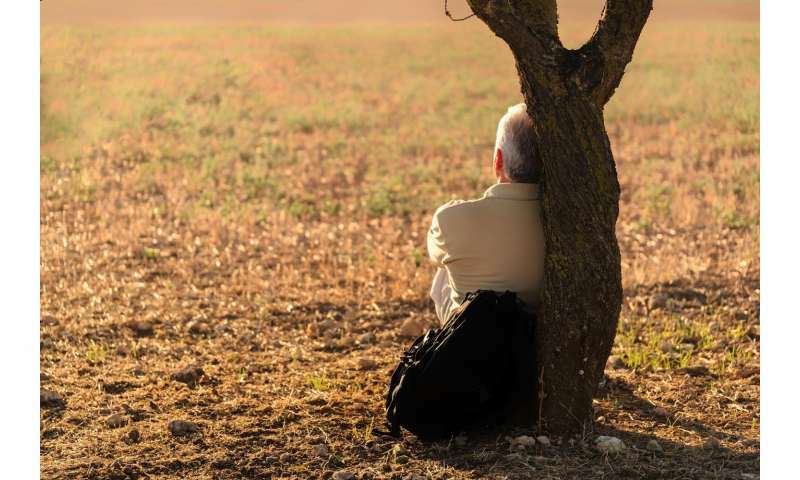 "You get ups and downs—years that are a little bit warmer, a little bit cooler—but the long-term underlying trend is very, very clear," said NASA climatologist Gavin Schmidt, who worked on the space agency's analysis. "It's the long-term trends that are having impacts on ice, on severity of droughts, on heat waves, on sea level rise and wildfires." Those observations are at odds with President Donald Trump's statements attacking the scientific consensus on climate change. Icy cold weather across the Midwest and Eastern U.S. last week prompted Trump to tweet a plea to global warming: "Please come back fast, we need you!" Scientists say such remarks confuse short-term natural variations—that is, weather—with long-term shifts in the climate that are driven by human activity. Indeed, that natural variation is why climate scientists look primarily at temperature trends over long timescales and don't give too much significance to a single hot or cold year. "But these are warm years that have persisted over a five-year period, and they sit on top of a longstanding, increasing trend over the last one-and-a-half centuries," said Waleed Abdalati, director of the Cooperative Institute for Research in Environmental Sciences at the University of Colorado Boulder who was not involved in the federal reports. "That's a clear upward signal. It drives home the point that this trend is robust." "If there was no warming of average temperatures, there would be about an even chance of a daily record high maximum or daily record low minimum occurring," said Meehl, who was not involved in the report. 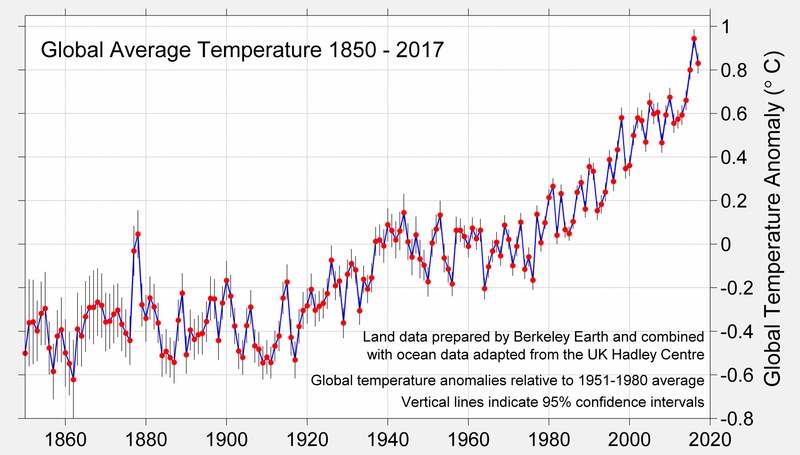 The NASA and NOAA reports are consistent with analyses by other governments, including the Japan Meteorological Agency and the European Union's Copernicus Climate Change Service, both of which also concluded that 2018 was the fourth-warmest year on record. The World Meteorological Organization? and the United Kingdom's Met Office? also found that 2018 was among the top four warmest years. An independent analysis released last month by Berkeley Earth calculated that in 2018, 85 percent of the Earth's surface was significantly warmer than the planet's average temperature from 1951 to 1980. Meanwhile, only 2.4 percent of the surface was significantly colder than that baseline period. Last year, 29 countries—including much of Europe and the Middle East—and the continent of Antarctica had their hottest years on record, said Zeke Hausfather, a climate scientist with the nonprofit research organization. "I don't believe it," Trump said at the time without offering any evidence to counter the conclusions of hundreds of the nation's leading climate scientists. Trump has vowed to pull out of the 2015 Paris agreement forged by nearly 200 countries, including the U.S. The pact sets a goal of keeping global warming "well below" 3.6 degrees Fahrenheit over pre-industrial levels, a threshold intended to avert the most devastating and irreversible effects of climate change. After a three-year plateau, global carbon emissions increased 1.6 percent between 2016 and 2017, then jumped an additional 2.7 percent in 2018, according to estimates published last month by scientists at Stanford University and other research institutions. One reason, they said, is a persistent appetite for oil—including unexpected growth in the United States and Europe, where experts thought its use had already peaked. 2018 was apparently the 4th hottest year on record, which means that it was cooler than 3 prior years. Which indicates a cooling trend. Or at the very least, a not-warming trend. In fact the current global average temperature record shows that the warming since the large 1998 El Niño was negligible, highlighting the inconvenient truth that we're essentially still in a "warming hiatus". It may be warmer next year. Or it may not. Looking at the temperature data, no one could have predicted that 1999 would have been significantly cooler than 1998, nor would they have been able to predict that 2017 was cooler than 2016 and 2018 was cooler than 2017. But cling to your narrative if it makes you happy. Yep - definitely got ourselves a 'hiatus' here - cuz aksdad thinks that tropospheric temps represent the whole climate. Talk about stupid. It's not about any one persons narrative aksdad - it's about the facts. That is only an apparently "glaring fact" to the delusionally arogently ignorant who think they know more than the experts that have been researching it for many years and know many things about it you and I do not. That above assertion indicates to be you are a moron. OBVIOUSLY, The greenhouse theory doesn't predict steady continuous year by year but rather erratic warming year by year and only the LONGER TERM trend is for warming. "OBVIOUSLY, The greenhouse theory doesn't ..."
"OBVIOUSLY, The theory of man made global warming doesn't ..."
-the two theories not being the same theory but merely connected. @assdad: proof that figures don't lie but liars figure. I2018 was apparently the 4th hottest year on record, which means that it was cooler than 3 prior years. Which indicates a cooling trend.. The denier arguments do seem increasingly devoid of substance - perhaps the more nonsensical the claims the more their tribal loyalty and refusal to be moved by facts or logic is made clear. I mean, were the previous 5 straight years of temperatures rising pointed to by aksdad as proof of rapid, accelerated global warming? I seriously doubt it - so I doubt aksdad can even believe his own argument. But that is the nature of BS - it isn't so much a lie as it has nothing to do with facts or truth at all. average the cold and the hot and everything in between and we get... global warming. That's what examining the evidence shows - which is what this article features; what a surprise! "Weather is the day-to-day state of the atmosphere, and its short-term variation in minutes to weeks. .... We talk about changes in weather in terms of the near future: "How hot is it right now?" "What will it be like today?" and "Will we get a snowstorm this week?" We talk about climate change in terms of years, decades, and centuries." askdaddy never passing up even One single opportunity to be the first to post something to make him look ludicrous, his eagerness to prove himself stupid in the flesh never ceases to to entertain. Rubbing it in deeper by Asking your sockpuppet snoozeloose to back you up boosts your baboonish reputation ever so boldly taking it to new levels of stupidity...everytime lol..
How true ! its - 29 now instead of - 30 ! !